Ever find yourself in this situation? You’ve just polished off another delicious jar of your favorite Jeff’s Naturals olives or peppers and you’re about to empty the remaining olive brine into the sink before tossing the glass jar into your recycling bin. But wait! 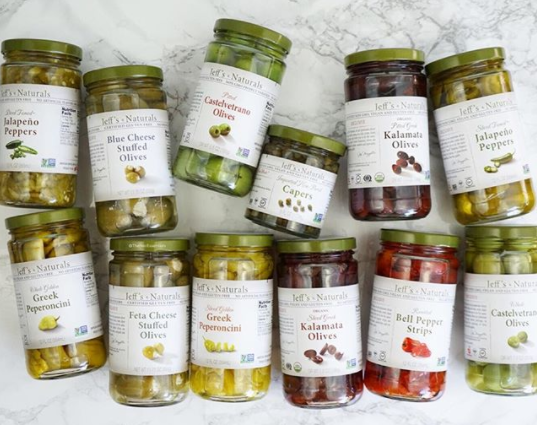 You can still add another dimension of Mediterranean flavor to your favorite recipes using the delicious brines and oils left over in our jars! Here are some of our favorite ideas to make the most of Jeff’s Naturals products — even after you’ve finished off the good stuff! Shared by Kathleen C. on Facebook. #1 Dirty up your martini with the olive juice from jars of our Castelvetrano Olives, Garlic Stuffed Olives, Jalapeño Stuffed Olives. #2 Drizzle oil from a jar of Sun-Ripened Dried Tomatoes onto a side salad then salt & pepper to taste. 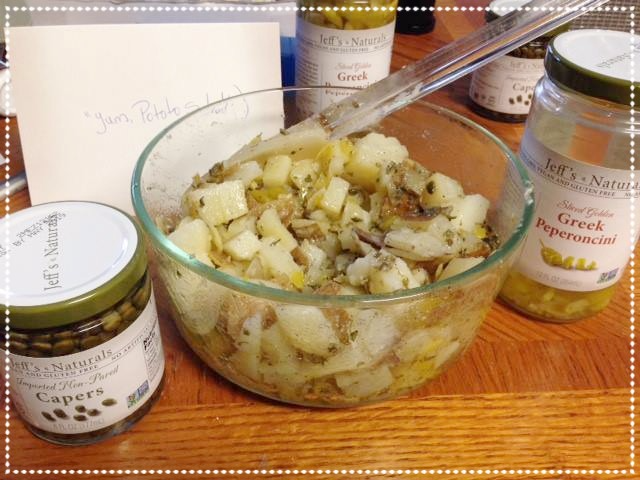 #3 Use the herbed oil from our Spicy Italian Olive Antipasto or Marinated Artichoke Hearts as a zesty marinade for meat. #4 Add a splash of brine from a jar of Sliced Tamed™ Jalapeños to your margarita on the rocks. You can also rim your margarita glass with Jeff’s Naturals Tamed Jalapeño Peppers brine and salt. YUM! #5 Make a delicious salad dressing on the fly by whisking the marinade from a jar of Organic Sliced Greek Kalamata Olive or Spicy Italian Olive Antipasto with extra virgin olive oil. Season with salt & pepper to taste. #6 Give potato and pasta salads a zingy upgrade with a splash of Greek Peperoncini brine. #7 Cook up flavorful couscous using the leftover oil from Marinated Artichoke Hearts. #8 Add a punch of flavor to your Bloody Mary with a splash of Greek Peperoncini brine. #9 Spice up burrito bowls by cooking rice with Sliced Tamed™ Jalapeño brine. #10 Add the juice from a jar of Sliced Hot Cherry Peppers to sauces, soups or stews for an extra punch of heat and flavor. #11 Pour an entire jar of Sliced Golden Greek Peperoncini, brine and all, over a pork roast and braise for several hours until the meat is tender. Shred the meat and use as a scrumptious taco filling. Is your jar half empty — or half full? 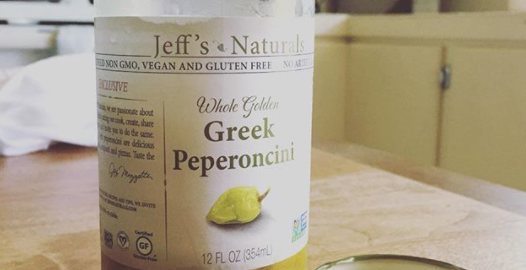 Next time you find yourself with an almost empty jar of your favorite Jeff’s Naturals product, don’t forget to reserve the oils and brines to marinate, sauté, drizzle and dip! Got an idea? Share it on Twitter @JeffsNaturals or on our Facebook page.